Poles and hardware for mounting Vantage Pro integrated sensor suite. Two poles join with connector to make a single 37-1/2" (95 cm) long pole. .. The Integrated Pest Management (IPM) Module for Grapes is a powerful tool in the battle against crop pest damage from diseases, insects, mites. This add-on module works with WeatherLink and Vantage Pro2 to gather real-time temperature, humidity, rain and leaf wetness data. It generates stepped risk levels to warn you when conditions are favorable for pest development. ..
For those who wish to send weather data much farther than 1,000' (300 m), the Wireless Long-Range Repeater can extend the range up to two miles (3.2 km). ..
Solar-powered station includes transmitter and battery inside weather-resistant shelter. Sensors are sold separately, letting you build the station that matches your needs. To view the data, add a wireless Vantage Pro2 console/receiver, or Weather Envoy or WeatherLink. Each can receive data from either: ..
Watermark® soil moisture sensor uses electrical resistance to measure the moisture level of the soil. Does not require periodic maintenance during the growing season. Simply bury at the desired depth, then monitor moisture levels throughout the season. Add up to 4 sensors to a single Leaf & Soil Moisture/Temperature Station. 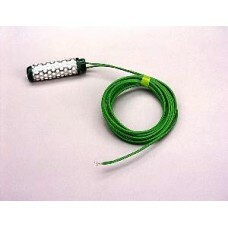 Includes 15' (4.6m) cable. Compatible with Vantage Pro and Vantage Pro2. The Soil Moisture Sensor must be connected via a Leaf & Soil Moisture/Temperature Station.